"You could tell they were so happy to be there. 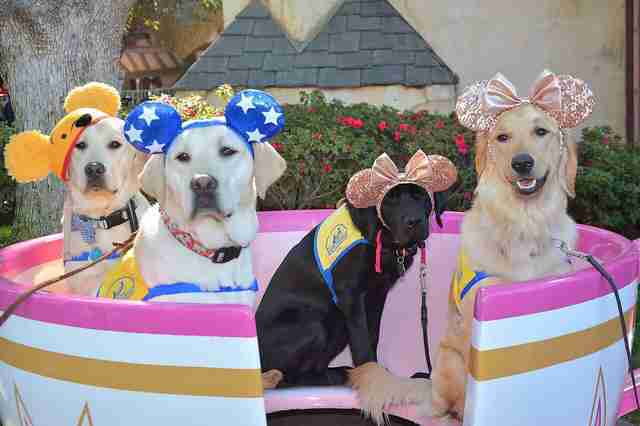 They were loving all of the attention they were getting from both tourists and the Disney characters." 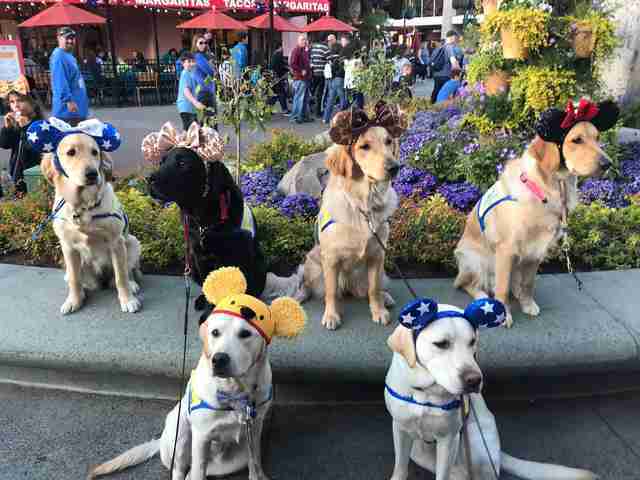 Last week, a group of adorable service dogs in training was taken on a field trip they won't soon forget. 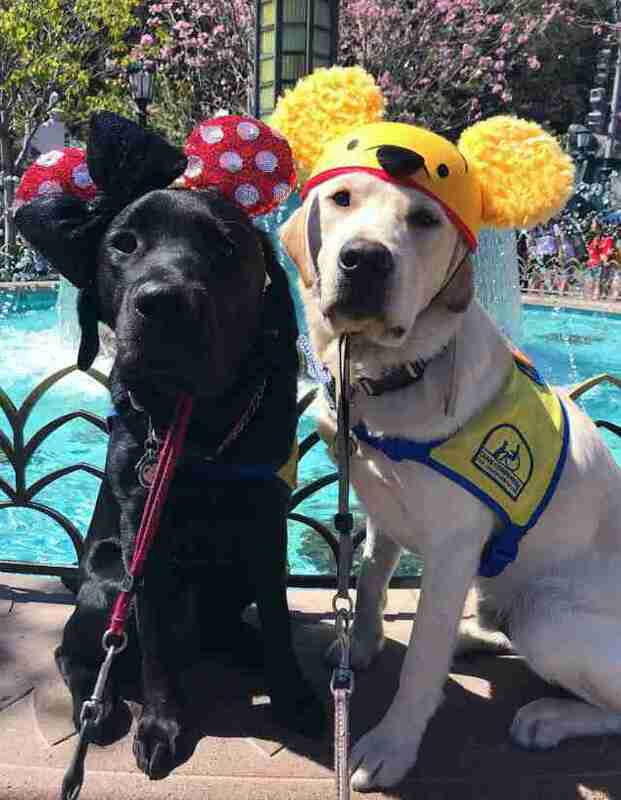 The dogs are members of Canine Companions for Independence, a California-based nonprofit organization that trains service animals and places them with people who could use their special help. Right now, these pups are still learning the ropes under the guidance of their caretakers — but it's not all hard work. 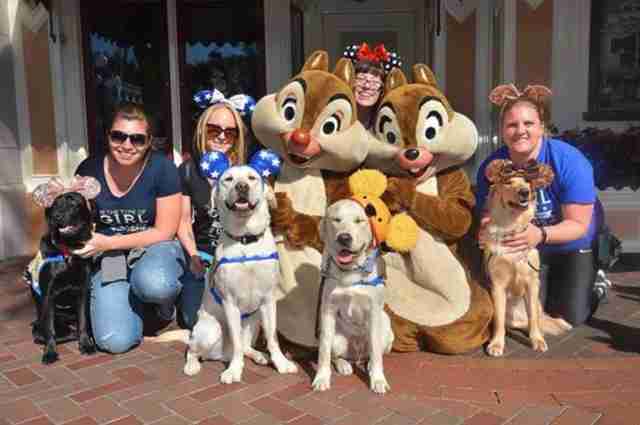 In order to improve their very important socialization skills, the group paid a visit to Disneyland on Thursday to explore the grounds and make new friends. 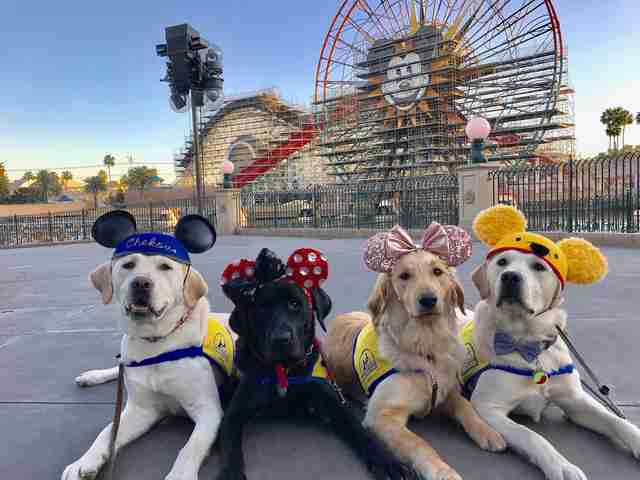 "Disneyland is the perfect place to socialize our puppies to crowds, loud noises, different sights and smells, and different kinds of people," Kendra Clark, who helped organize the trip, told The Dodo. Here are some highlights from their day at the park. 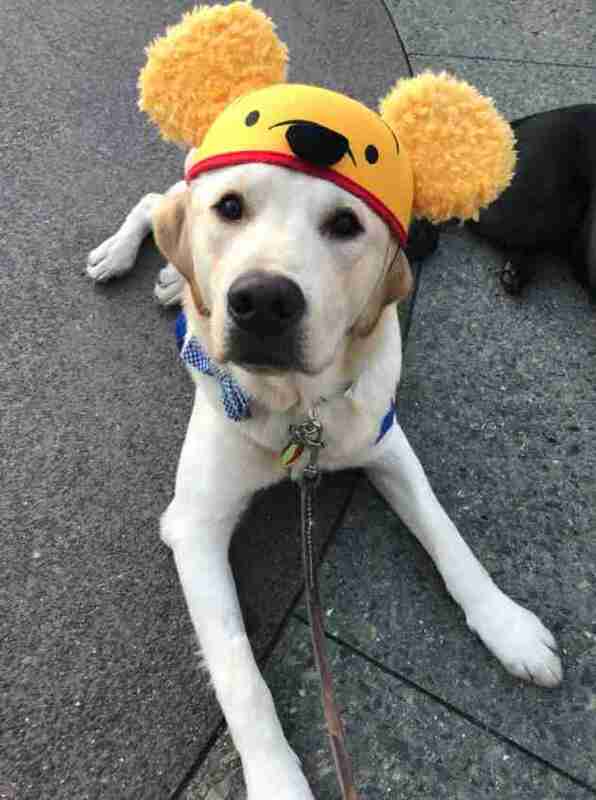 "The pups absolutely loved walking around the park," Clark said. 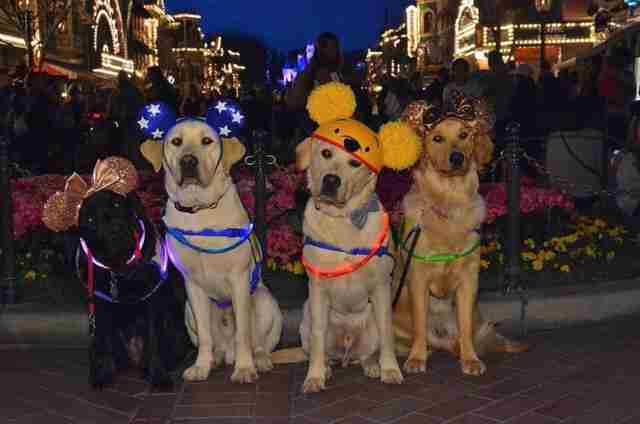 "They posed in photos with their Mickey ears and ate up all the attention they drew from the crowds." The dogs even got to enjoy a few rides. 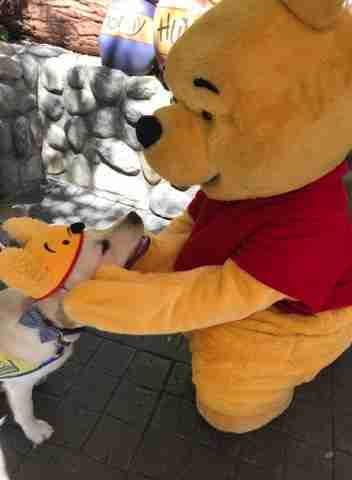 Their trip also included some memorable encounters with the park's most recognizable faces. "Seeing how happy they got when they met the characters sure was a treat!" Clark said. 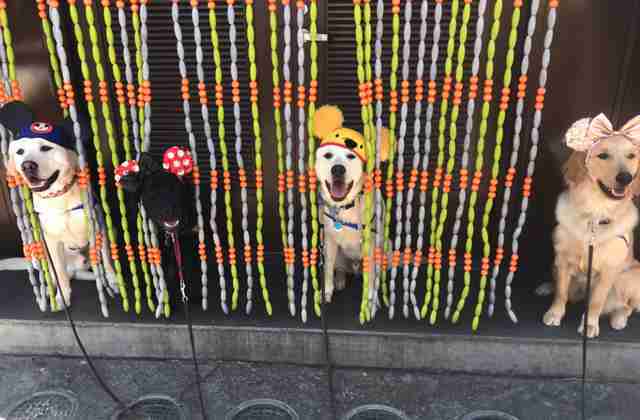 "The characters were almost as excited as the dogs were to say hello!" The pups had a fantastic time on their trip — and they made the day better for other guests as well. Nicole Brown was among those passing through the park who was delighted to see the future service dogs out and about having fun. "I have always been a dog person, specifically Labs and golden retrievers. 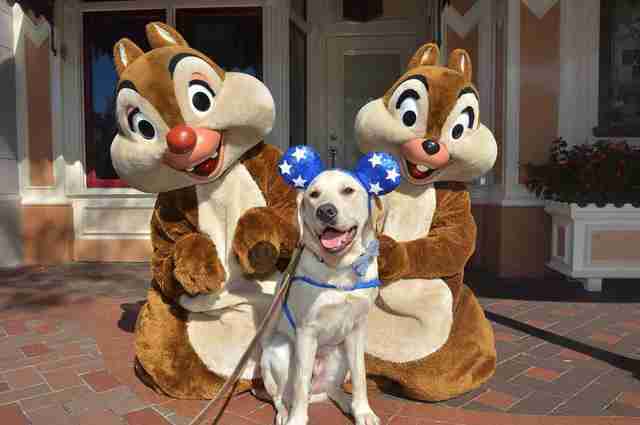 But to see them at Disneyland with Mickey Mouse ears was the cutest thing," Brown told The Dodo. "You could tell they were so happy to be there. 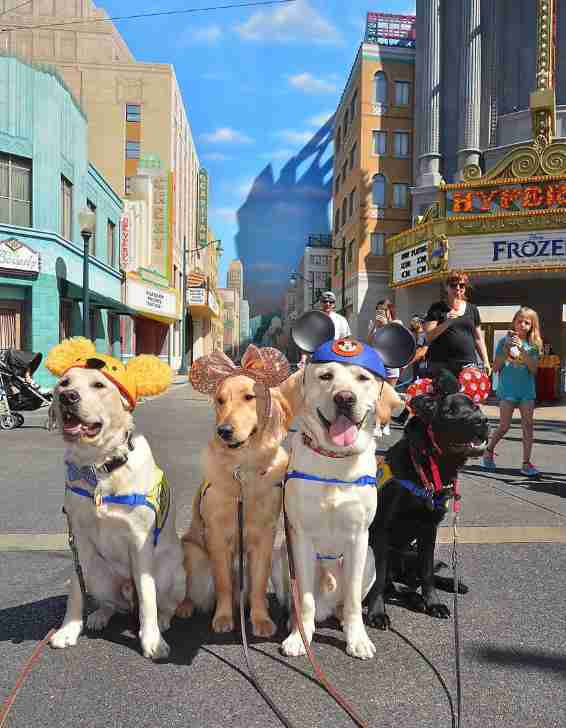 They were loving all of the attention they were getting from both tourists and the Disney characters." Brown tweeted about her encounter — and sure enough, it went viral. 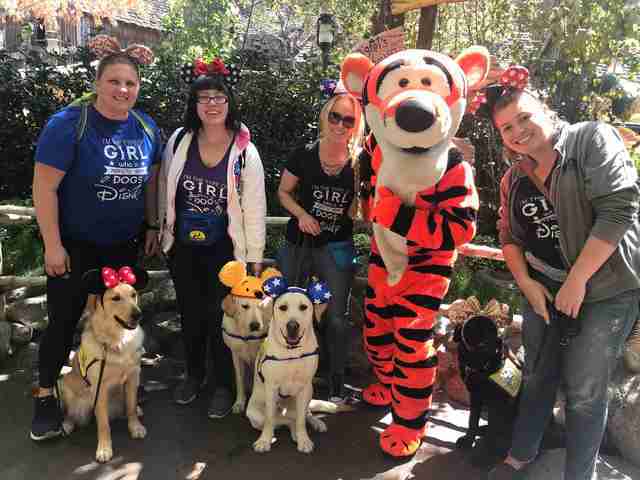 It's fair to say the trip was a success, and in a few months, the group plans to do it again — all for the benefit of dogs who will one day go on to play crucial roles in the lives of people who need them. Getting to spread the word about that is just an added bonus. "As puppy raisers, part of our job is educating the public about service dogs and Canine Companions’ mission," Clark said. "So it was really wonderful that the crowds were not only incredibly interested in our service pups in training, but also so respectful of the fact that they were working." Though it's wonderful to see that the dogs had such a great time, too. Visit Canine Companions for Independence's website to learn more, or to find out how you can get involved.